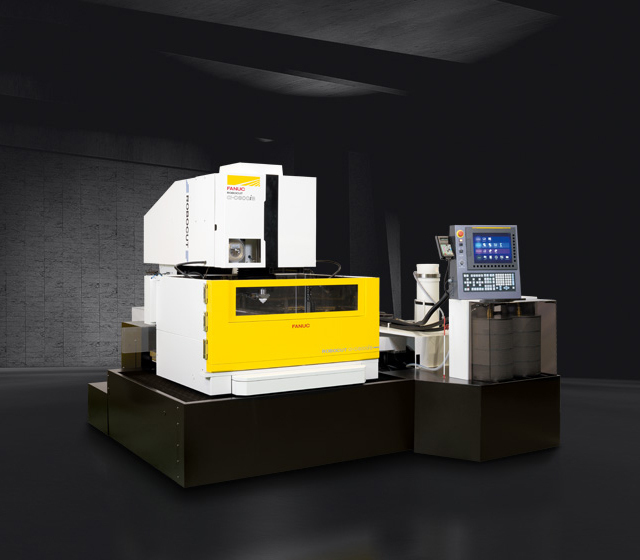 Fast, accurate electrical discharge machining Where wire EDM is concerned, accuracy has traditionally come at the cost of speed. That’s why FANUC has developed a next generation ROBOCUT wire-cutting machine. The α-CiB series comprises three versatile all-rounders, including the first model with an 800 mm table. With incredibly long mean times between failures, low maintenance, longevity and excellent uptimes, these future-proof spark erosion machines are designed to save time and drive down unit costs while ensuring superlative accuracy and cutting efficiency.